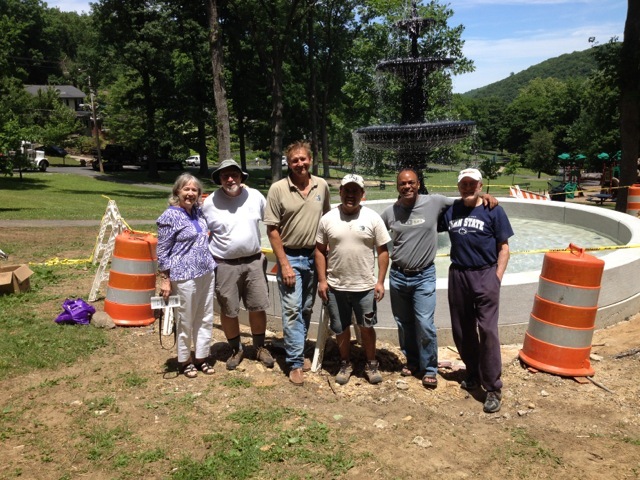 Bob Levers and Hubert Etchison, two members of the Nevin Park Fountain Committee, were interviewed for this article. 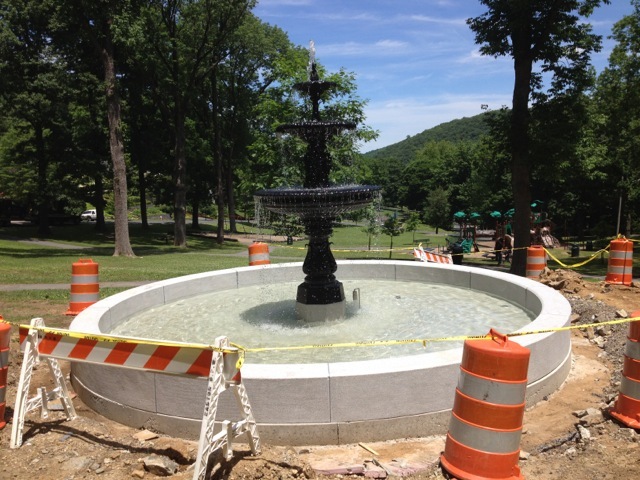 In June of this year, after years of hard work and planning, the people of Easton, Pennsylvania dedicated the Nevin Park Fountain. Carved Stone Creations provided and installed the fountain basin for this project. Keep reading this article to find out the keys to this projects success and Carved Stone Creations role in the process. Both Bob and Hubert agree, Carved Stone Creations was easy to work with. They were great at coordinating with the fountain manufacturer and others involved in the project. Since this was a municipal project with a neighborhood organization that was working with the city and county governments, there was a lot of paperwork, and at times, delays on this project. Carved Stone Creations was understanding of this process and was willing to work at the pace allowed. They did everything they could to keep the project on time and on budget, and according to Bob and Hubert they succeeded. With any project there will be roadblocks and hurdles to overcome. This project was no exception; there were a few issues to work through. According to Hubert Etchison, to fix one of the maintenance issues, Rob from Carved Stone Creations was willing to send a valve to Pennsylvania which was above and beyond what Hubert could have asked for. All of the issues were solved in a timely manner and in a way that both parties were happy with. Carved Stone Creations is an expert with fountain installation. When the Fountain Committee was looking for a fountain basin they were looking for someone with an expertise with fountain installation and working with granite, they found Carved Stone Creations. Hubert added that during the project he could really tell that Carved Stone Creations knew what they were doing, they are experts. Bob Levers noted that this project had critical dates to have things done by. Carved Stone Creations was able to stick to these dates. They did exactly what they said they would do, when they said they would do it. By sticking to these deadlines, Carved Stone Creations was able to ensure that the project went smoothly. The result of this project was a beautiful fountain, happy customers, and a happy community. Bob and Hubert both stated many times throughout the interview that they were impressed and happy with working with Carved Stone Creations, they couldnt have asked for a better partner in this project. 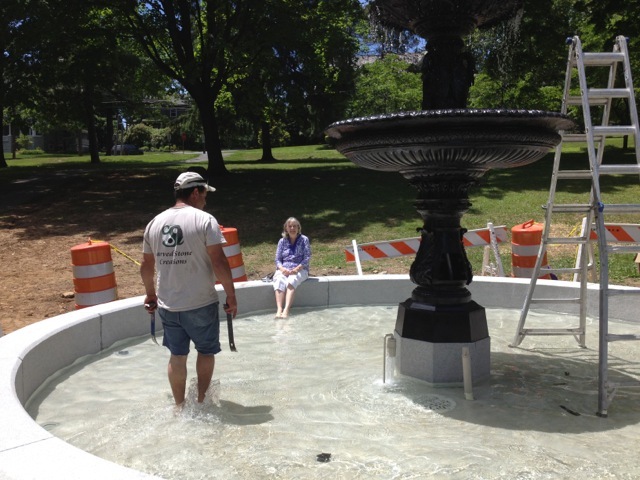 Interested in reading about the Nevin Park Fountain dedication? Read this article. Interested in installing a fountain in your community? Contact us today.